After footwear, your pants are probably the one piece of personal equipment that needs to withstand a beating. Sliding down rocks, brushing past sharp vegetation and the constant movement involved with hiking that includes those gazelle like movements when you are occasionally required to cross streams or jump across narrow gaps. 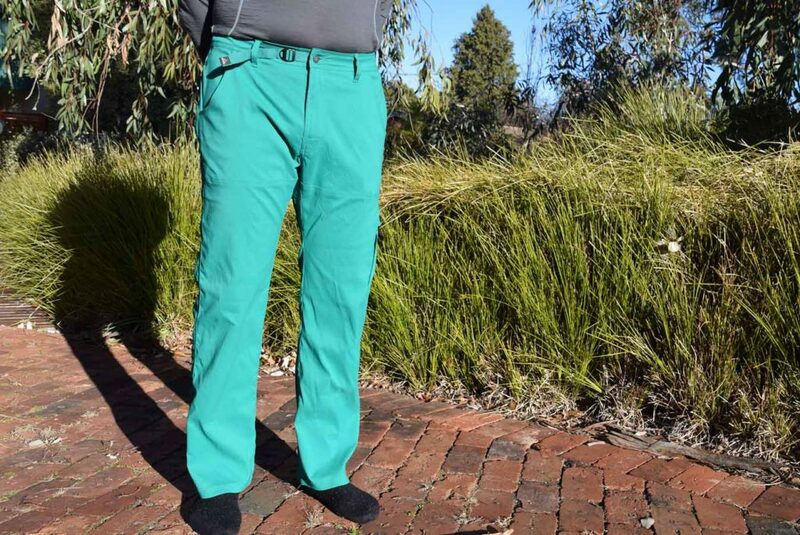 While I usually prefer the zip off legs of the Prana Zion Stretch Convertible Pants I have now started to wear non-convertible pants during Winter. 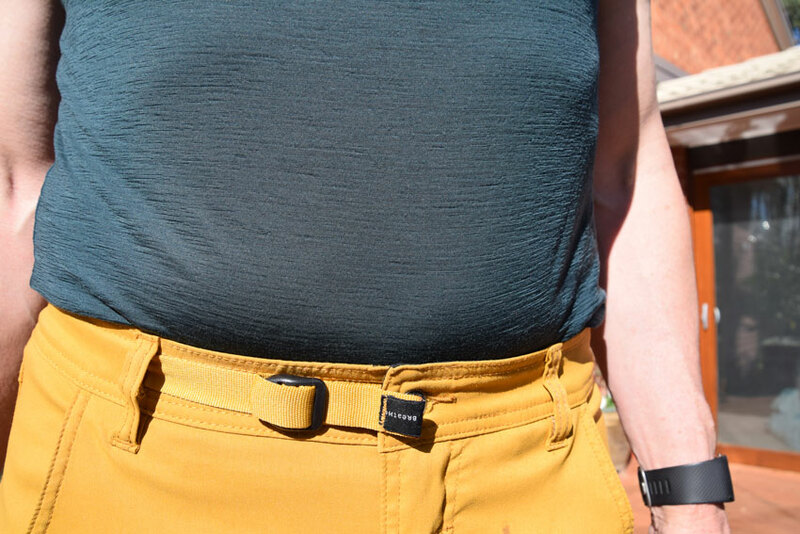 The Prana Zion Stretch Pants are a durable all purpose piece of clothing that has now become part of my regular hiking wardrobe for non-snow conditions. The material is supple and feels good against the skin, and they fit well where they need to but not so tight to be restrictive. The leg length has been judged well and isn’t overly short like many other pants. I’m 188 cm tall (6’2″ on the old scale) and I tried on the 34″ inseam and it was too long on me (with boots) so I opted for the shorter 32″ inseam. They also look good as a result of the good cut. In addition they have a great colour range. I usually try to avoid khaki or light brown colours wherever I can. You only have to look through this website to see I like quirky colours and am always drawn to companies that provide some different options. The full range of colours are not always easy to find but the larger specialist stores will usually stock a decent range. The horizontal stretch of the fabric means you don’t end up with any restrictions even when doing a wide stretch, when crossing streams or maneuvering up rough sections of trail. The material is robust without being excessively heavy. They are one of the most comfortable hiking pants I have ever owned and feel good both while hiking as well as lounging around at the end of the day. Having worked outdoors for most of my life, I have a very high tolerance to cold weather so will only wear long johns when I absolutely necessary. 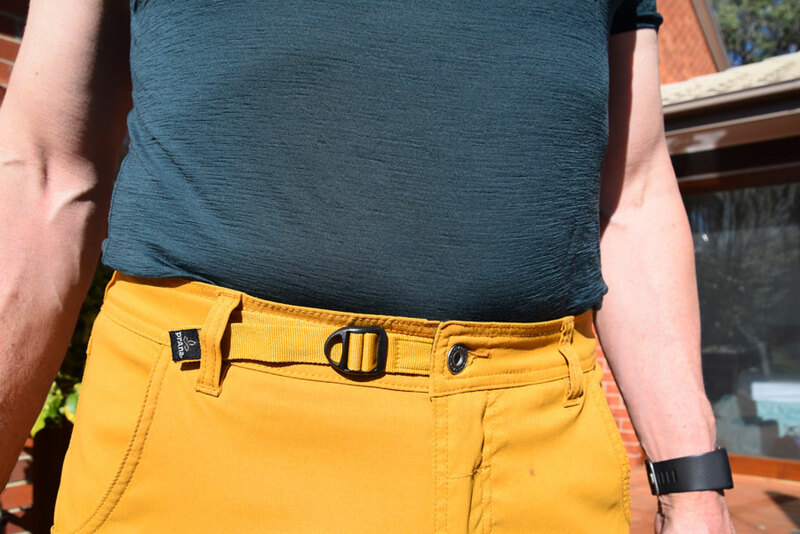 I have worn these pants at temperature ranges down to -8 and up to 32°Celsius (28-90°F) and even at the colder end of the range, I was very comfortable. However at the warmer end of the scale, I was wishing for a lighter pair of pants. 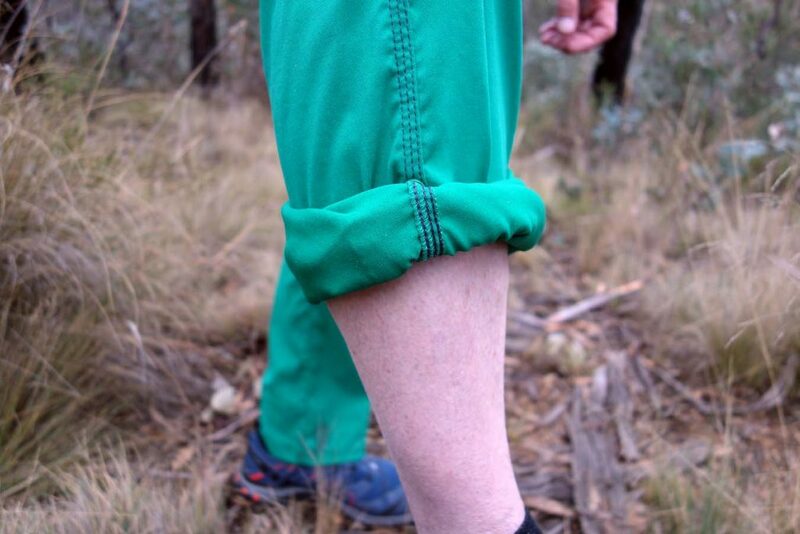 Having said that, I don’t wear gaters for most of my hiking and found that while I was a bit on the warm side at the high temperatures, the pants are thick enough to protect my legs when brushing past sharp plants such as spinifex and are able to stop our local March Flies (Horse Flies) that can, and do, bite through thinner thickness pants. 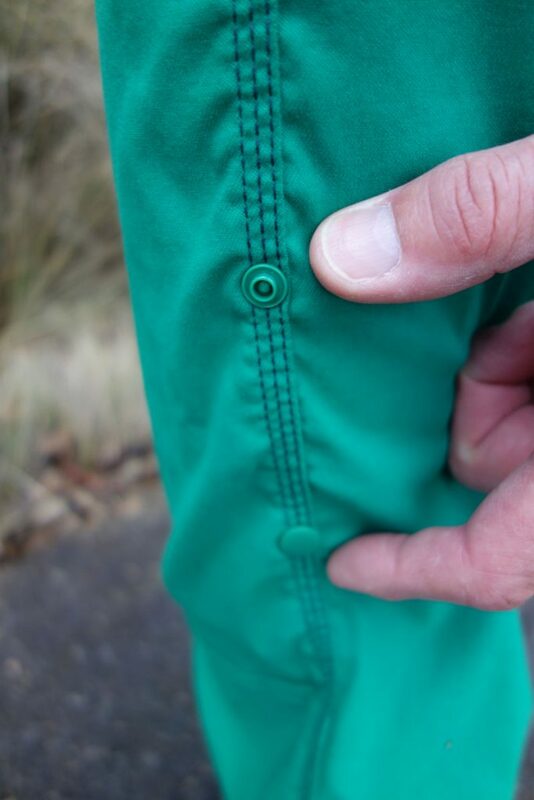 The Durable Water Repellent (DWR) treatment on the pants doesn’t provide full waterproofing but it does mean that walking in light rain or through wet grasslands you do stay relatively dry and the pants do dry out more quickly than you would expect. 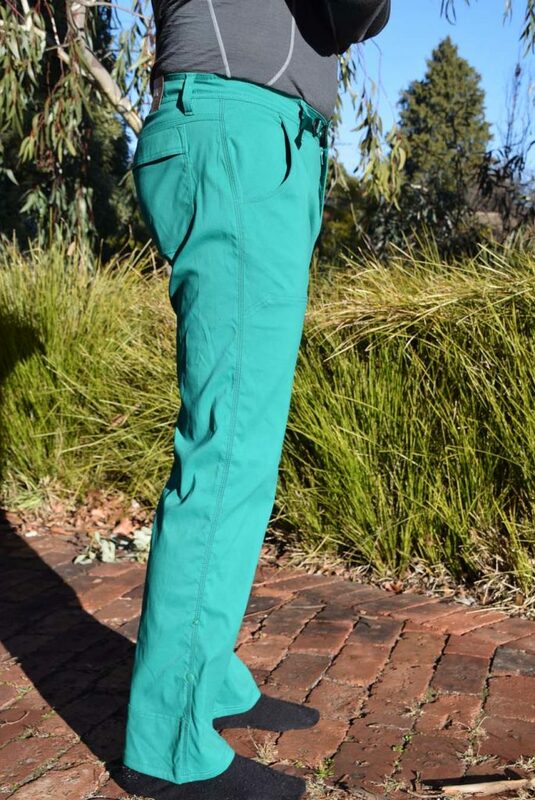 Now you would think that the convertible and non-convertible versions of these pants would be identical apart from the zip off legs but you would be wrong here (just). One difference is that the legs on the non-convertible pants roll up a few inches and clip in place to keep the bottom out of the mud and water when you need. The other difference is that the non-convertible version has one less pocket on the front/side of the leg. What’s up with that? For me this is almost a deal breaker; almost. I like having lots of different storage options to hold my phone, camera, GPS and a spare pocket for things like keys. 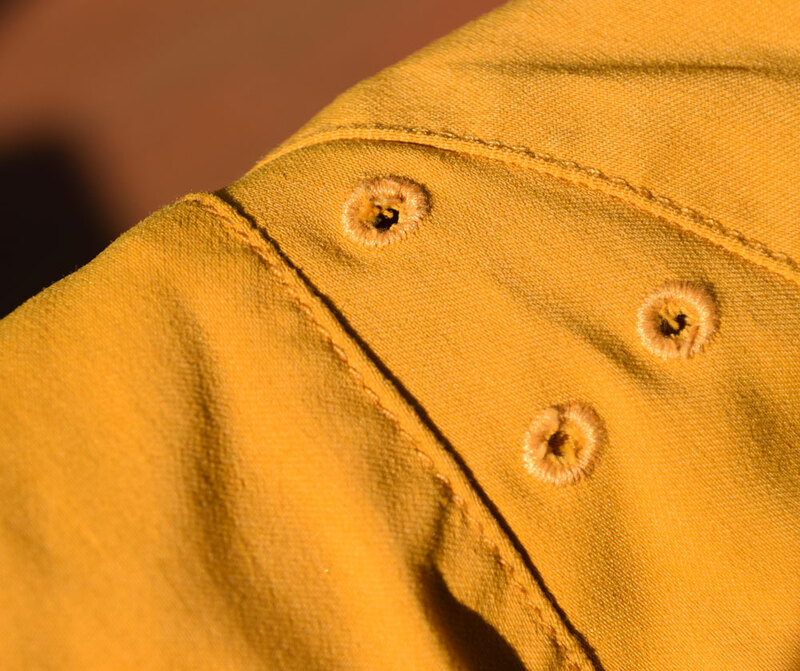 One less pocket is just plain annoying and I find that after getting used to the extra pocket I really do miss it. Now while I usually prefer to use the Prana Zion Stretch convertible pants when I can, for Winter day hikes where I won’t be wearing the same set of pants over multiple days, I will always opt for the non-convertible version. Abrasion resistant material that ensures that these pants will cope with most abuse that you throw at them and wont need replacing as often. More money to spend on other toys!